‘You are to be congratulated,’ Edward Seymour says to me thinly as my court of ladies is walking beside the river before the day gets too hot…. Not much is known about the only queen who survived Henry VIII. Who was she and why did she marry the ‘Wife-Killer’? Katheryn Parr’s fictionalised narration, by Philippa Gregory, takes the reader into the murky world of Tudor court politics and theatrics. With an obsessive, megalomaniac husband, Katheryn’s patience and perseverance is tested. Kateryn is known as one of the most tenacious survivor-wives in history. Not only did she survive Henry VIII’s eccentricity, she also stood firmly against the papists in England and went on to contribute towards making England Protestant. She is also credited with moulding the three stepchildren in the absence of their respective mothers and helping them skirt past their father’s irascible moods. 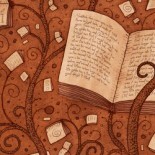 She is also known for her scholarly pursuits and for her translations of religious texts. According to the author, no woman before Katheryn Parr had dared to write material in English for publication and put her own name on the title page. 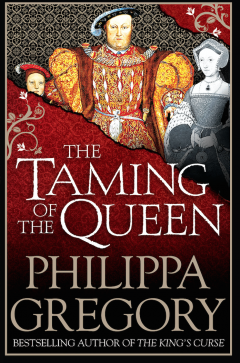 I had heard about Philippa Gregory, but had never had the chance to read any of her novels. 16th century England is one of my favorite historical periods, especially since I teach it at secondary level. I had watched The Other Boleyn Girl and enjoyed it, but Philippa’s novels never did make it to my reading list( which incidentally is very long; review books, monthly book club book and books that I would personally love reading, but don’t get a chance to read often). And then I got to know that Philippa was one of the authors at the Galle Literary Festival in January,2017. In an endeavor to formulate a suggested reading list for GLF enthusiast, I started reading The Taming of the Queen. With her lucid and captivating writing style, Gregory brings 16th century England to life. As with most historical fiction novelists, she takes liberties in order to give credibility and depth to the characters. With her vast experience in historical writing, her novel is well researched and flows smoothly. So deftly has it been written, that it brings Katheryn out from the hidden pages of Tudor history, and gives her the importance and the individuality, that has not really been given to her before. A definite read, to be followed or preceded by the other novels by Philippa Gregory, especially The Plantagenet and Tudor series. This entry was posted on December 23, 2016 by artikabakshi in Book Reviews, Historical and tagged 16th Century England, Galle Literary Festival 2017, GLF2017, Henry VIII, Katheryn Parr, Philippa Gregory, The Taming of the Queen, Tudors.